This is my final Christmas post, before I return with more vintage goodies in 2012. John Gary sang in movies, on Broadway, had his own TV show, appeared at Carnegie Hall, and was considered to be one of the best crooners of the time. 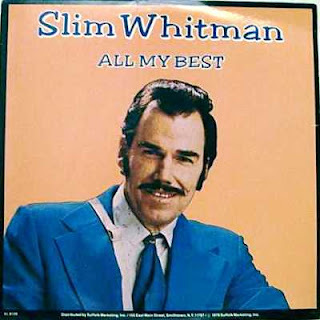 He had a wide vocal range, which you can hear very well on this album. This is another one of those Christmas albums that is nice to hear on Christmas Eve when you are home with your family, sitting in front of the fireplace and sipping some hot cocoa. May you all have a very Merry and Blessed Christmas and a Happy and Prosperous New Year! Here's an album I found in the HPB bargain bin. I never saw "The Jack Benny Show" or Dennis Day in any movie or TV show, but I had heard of him. 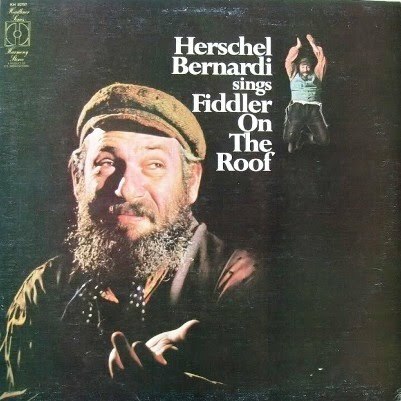 And I loved the cover of this album, so I decided to buy it. Besides, I'm also a big fan of the "economy" record labels. 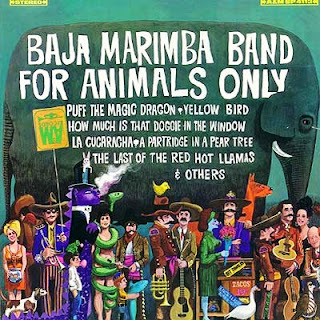 This album has all the familiar favorites and is a nice album to play on Christmas Eve, when one is spending a quiet evening with the family before the fireplace, with Dad or Mom reading a favorite Christmas story. I hope you choose to make this album part of your Christmas Eve. 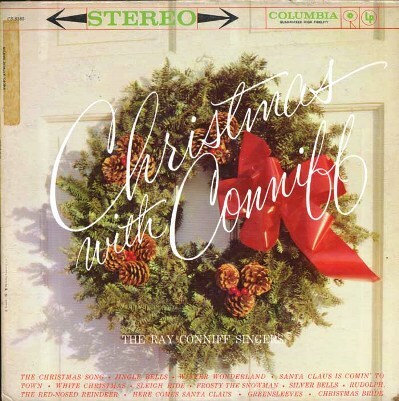 Christmas wouldn't be complete without the Ray Conniff Singers, especially for a big fan like me! And this album is perfect when played on my big vintage Magnavox console stereo in my retro mid-century modern living room, while gazing at my aluminum Christmas tree (with color wheel)! This is definitely a must-have for any Christmas collection! It's time for my annual Christmas compilation! I've picked some favorite Christmas songs for this year's Cool Yule Tunes 2011 as a little token of my appreciation to all of you for visiting my blog and sharing in my love of this type of music and the nostalgia of glorious vinyl. I haven't been as consistent in posting this year, but I plan to get back into it in 2012! There's a little bit of everything here and I hope you enjoy the songs I've picked. 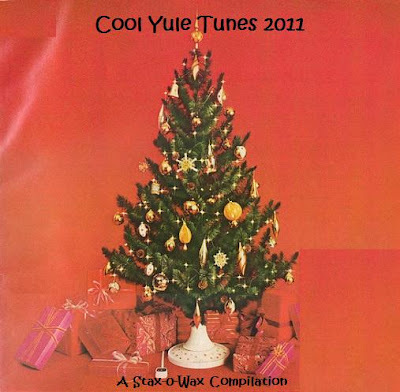 And, if you don't already have them, click on the "Cool Yule Tunes" label to see the previous four Christmas compilations and download them to have a complete collection! 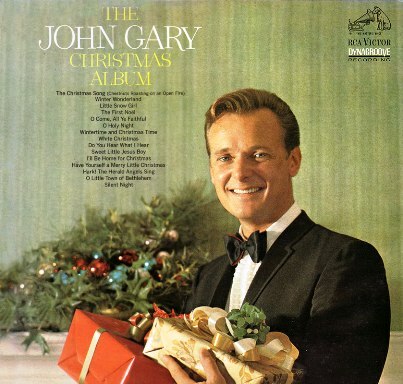 How many of you grew up listening to this record every Christmas? I remember getting this when I was very little and playing it every year - and I still do! My record is still in amazing shape considering how long I've had it and that my mother would also take it to school and play it for her students. 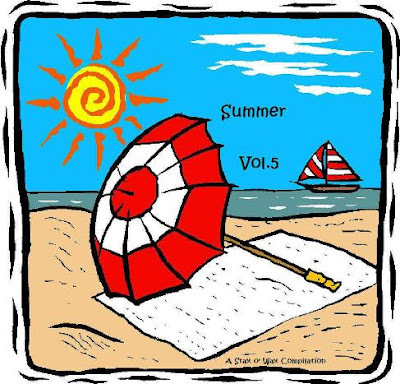 Of course, my favorite is "The Chipmunk Song", and my favorite part is about the hula hoop! I remember that as a child I would skip over the "boring" songs that David Seville sang, and I'm afraid that I still tend to skip over those. Well, I hope this one brings back memories for many of you! Christmas is almost here so it's time to share some of my Christmas records! I know this one has probably been shared a lot by others, but those of you who don't have it, here is one of my favorites. 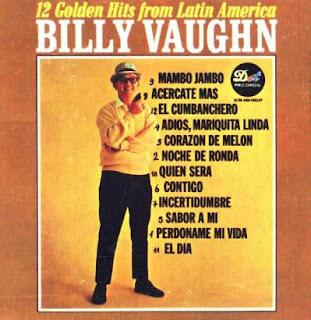 This record was obviously released to capitalize on the "Tijuana sound" popularized by Herb Alpert and the Tijuana Brass and by the Baja Marimba Band. Since I like both those bands, I knew I would like this record, and I do find it quite enjoyable. The cover is so kitschy that I find it worth framing during this time of year. 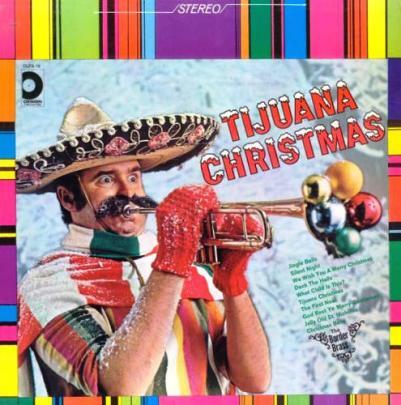 So, here's the Border Brass to help you get in the Christmas spirit! 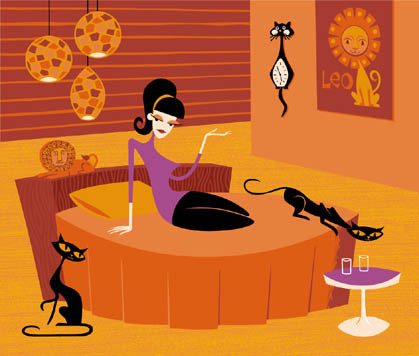 Time to invite some friends over for cocktails and put on your dancing shoes! 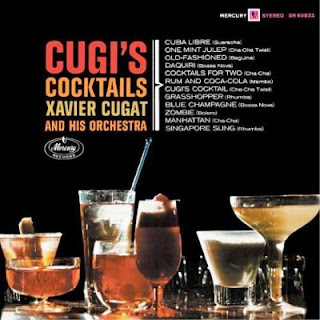 I have yet to find an album by Xavier Cugat that I didn't like. And I just love this one! The songs all have cocktail names and I guess my favorite (tonight, anyway) is "Zombie" (because tonight is the season premiere of the zombie TV show, "The Walking Dead"). The album cover is cool, too - definitely worth framing! So, mix yourself a few cocktails and dance a little! I remember watching Johnny Crawford on "The Rifleman" when I was a little girl. It was one of the TV shows that my father and I would watch together. I had a big crush on Chuck Connors, and really didn't pay much attention to Johnny. 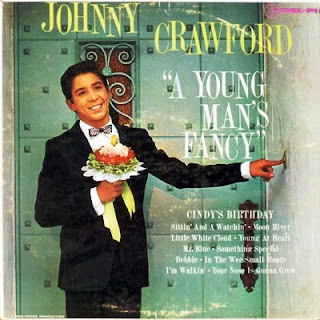 Other than this show, I never saw Johnny in anything else, and I don't remember ever hearing his big hit, "Cindy's Birthday", on the radio. I never even knew that he was a Mouseketeer until sometime in the 1990s, when I went to a vintage toy show and he was there signing autographs. 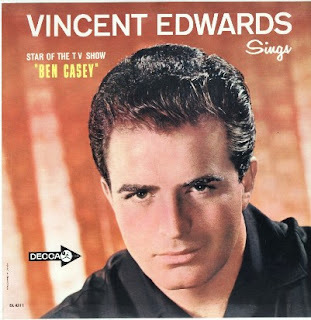 Of course, I stopped by and got an autographed pic and talked to him a little bit (by then, I was into collecting the vintage LPs, and trying to find those in the "celebrity vocals" category). That's when I found out that he was now the leader of a big band orchestra. Now, I just love Johnny and love watching him on reruns of "The Rifleman", which are being aired on AMC and the Encore Westerns channels. The title of this album was also the title of one of the episodes of "The Rifleman", and features "Cindy's Birthday", which I hear pretty regularly now on a local "music legends" radio station. I cleaned it up as much as I could, but there are still clicks and pops, and some skips. (If anyone has a better rip, please do share!) Enjoy! Hello there! Sorry I haven't been keeping up on here - just had a lot going on. (But I do hope that in the meantime, y'all have been checking out my podcast The Spin-O-Rama Hour!) Well, I am going to try to do better and post more often on here, as I still have a lot of great vintage records that I would love to share! To get back in the swing of things, I have this Ray Conniff gem from 1958. Ray, his orchestra and chorus, play selections from Broadway hits "Oklahoma! ", "The King and I", "My Fair Lady", and "South Pacific". As always, it does not disappoint! Enjoy! Here's an album in my "celebrity vocal" category that I've had for quite awhile but just got around to digitizing. I couldn't find the release year on this one and my celebrity vocals book just says "196? ", so that's all I know. There was an earlier 10" version of this album released in 1954 on MGM, but this is a 12" later release on Columbia which was a promotion by Post Cereals. 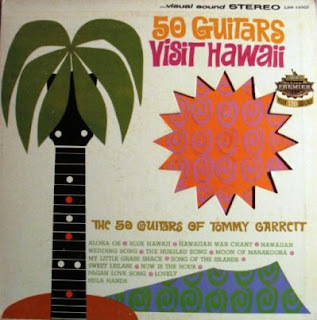 Danny Thomas sings the songs, music is by the Spencer-Hagen Orchestra featuring Walter Popp at the piano, and Danny's TV family (Marjorie Lord, Rusty Hamer, and Angela Cartwright) are all on hand. I never saw "Make Room for Daddy" (the name of the show the first three years) or "The Danny Thomas Show", so I'm not familiar with any of the characters, but I know that Marjorie was "Kathy", Rusty was "Russ", and Angela was "Linda". So, I'm wondering who is the "Terry" that speaks at the beginning of "Daddy's Little Girl" - is it Danny's real-life daughter, Terry? And if it is, then why didn't Marlo participate in this record? Gosh, I hope these questions don't make me lose sleep tonight (because I'm the kind of person that would). Hope you like it! I love the Serendipity Singers and this album! What fun it is! I just really like choral groups and this type of folk music. 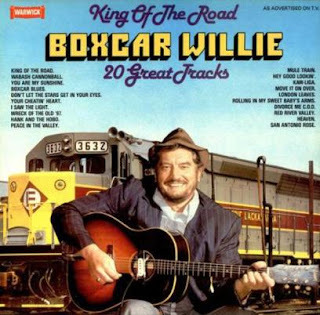 The melodies and harmonies are great, and the songs are just fun. I have three favorites on this album - "Let Me Fly", "Beans In My Ears", and "Movin' In My Heart". I think I really like that third one because the Osmonds performed it in a medley on their live album back in the 1970s (I had not heard that song until they performed it). All the songs are great and I think you'll enjoy this album! 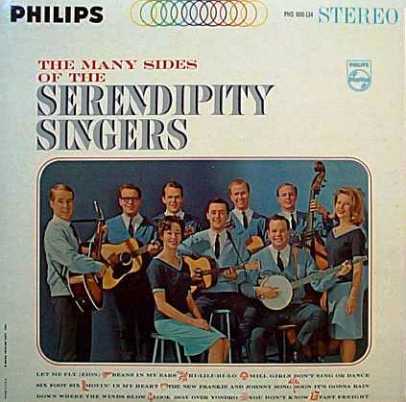 Plus - how can you not like an album with a banjo??? Here's a treat for those of you who like karaoke. This album by Nelson Riddle has the background music for several hit songs from back in the day, and all it needs is your voice to sing along! The album itself even has the sheet music and lyrics for each of the songs. I tried to sing along but the songs are all in keys that are a little high for me (my vocal range is more like Diana Krall's), but maybe y'all will have better luck. I bought this many years ago and it's the hi-fi version. So, if anyone has the stereo version, I would love it if you shared it! 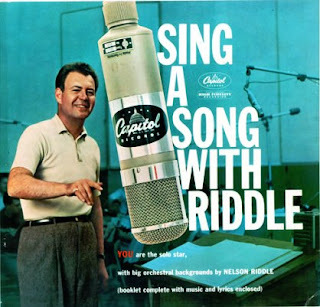 I absolutely love Nelson Riddle! I love the Singing Rage, Miss Patti Page! "How Much is That Doggie in the Window" was one of my favorite songs growing up. 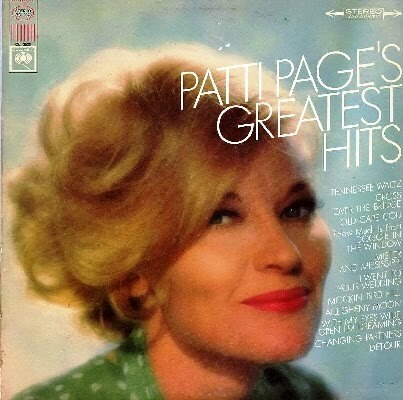 I've shared a couple of other records by Patti Page, so I'll try to not repeat myself as to what I say here. I generally stay away from greatest hits albums if I have all or most of the artist's albums. Usually I only buy them if I just want the most well-known songs by an artist. 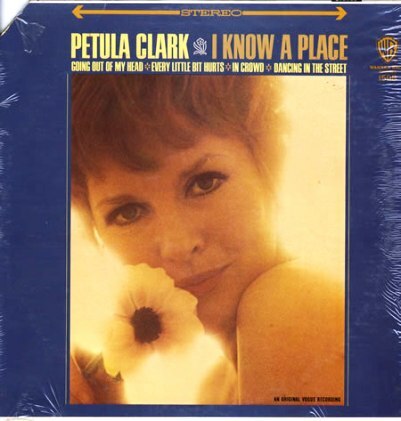 When I bought this album, I didn't have any other Patti Page records, so it was fine to have this one. But for those of you who are familiar with her recordings, you'll notice that these songs don't sound like the songs you've heard so many times. That's because Patti re-recorded them for this album, which is on the Columbia label (she was on the Mercury label when she had all those hits). Maybe Columbia just wanted a new "take" on the songs, since the arrangements are all different. "Tennessee Waltz" is quite different, so you may or may not like it. "Old Cape Cod" is my favorite (besides "Doggie"), and I like this version fine. I love organ music so when I saw this album last year I went ahead and bought it. I thought the artwork was pretty cute, too. Well, it's not exactly the kind of organ music I like (I was expecting more loungey stuff), but it's certainly very nostalgic. When I listen to it, I feel like I'm at a baseball game and someone should be coming around to sell me some peanuts. Or, that I should be at an old-time theatre watching a silent movie. It's that kind of organ music. Still, the history of the Replica Wurlitzer is quite interesting, and you can read about it here. You can see a cool picture of the organ on that page - very impressive. 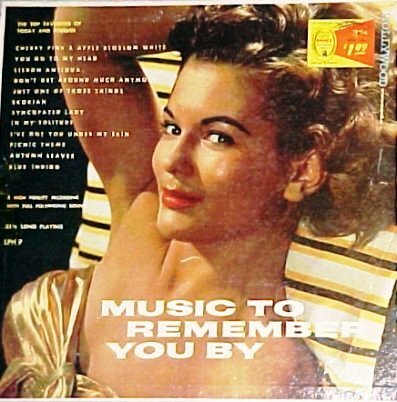 I couldn't find a release date on this record, but by reading about the Replica Wurlitzer ("made" around 1955) and that Replica Records was liquidated in the late 1950s, I'm guessing that this album was made in the late 1950s. 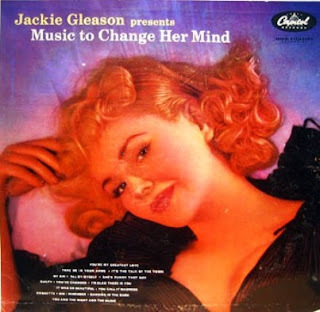 I couldn't resist buying this album the other day at the little resale shop down the street - and I love it! I think it was the groovy outfits that they're all wearing - so 1970s! And those aren't really tuxes - they're jumpsuits over the ruffly tuxedo shirts. I remember that my dance instructors would wear outfits like that at my ballroom dance competitions. Not very flattering. I've never heard of this group and I think it was probably a group that played local hotels (label says Sacramento) and cruises (it says they composed "Greek Odyssey" for a European cruise). It says on the back that they recorded this album "for all their fans and friends". Oh, another big reason I bought this is that all the singers and musicians autographed the album on the back! Hey, this may be worth big bucks! There is no release year on this, but by the stylish outfits, I'm guessing early to mid 1970s. For those of you who are dying to know who these people are, they are: Betty Speegle, Lynn Elder, Robert Speegle, Fernando Rio, Rick Elder, Ted Skorman, Rich Leppanen, Don "Mult" Jones, and Scott Wilcox. (I think I have a crush on the guy standing under the tree between the two girls - wonder whatever happened to him.) 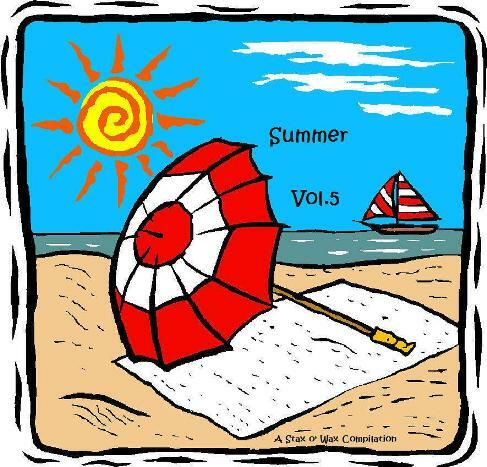 You've heard all these songs, except for the two written by one of the members of the group and unfortunately, several of the songs have some skips. 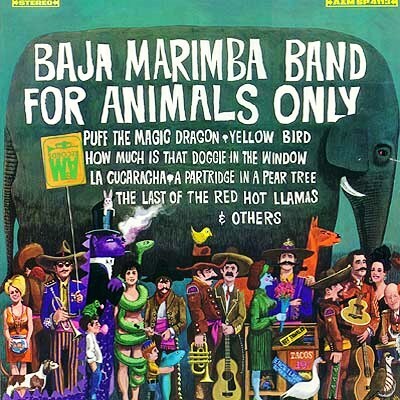 So, if anyone out there is lucky enough to have a copy of this record and it doesn't skip, please do share! :-) BTW, if anyone has any information on any of these musicians, I would love an update!